Someone replied to my last PPG/Splatoon pic saying "Can't wait for the Powerpunks version" and in all honesty, that idea never came to mind, and yet it provided me with a PERFECT opportunity to draw characters OTHER than Inklings. 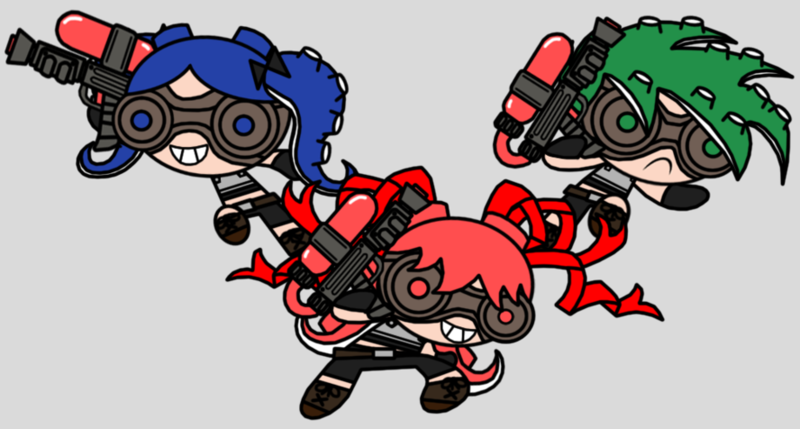 Seeing as the Powerpunk Girls (who made their debut in the comic issue Deja View) are evil versions of the Powerpuff Girls, what are the suitable equivalent for Inklings? OCTOLINGS!